The Scottish Seabird Centre is a popular award-winning visitor attraction in North Berwick, East Lothian, Scotland. Opened by HRH The Prince of Wales in 2000 and funded by the Millennium Commission, the showpiece of the centre is the network of cameras which beam back live pictures from the bird colonies on islands such as the Bass Rock and Fidra. The local abundance of gannets, puffins and more has been described by Sir David Attenborough as one of the "Twelve Wildlife Wonders of the World".<p> Machine located just past the front door, at the entrance to the shop on the left. No need to buy a ticket to access the machine. £1 per coin. 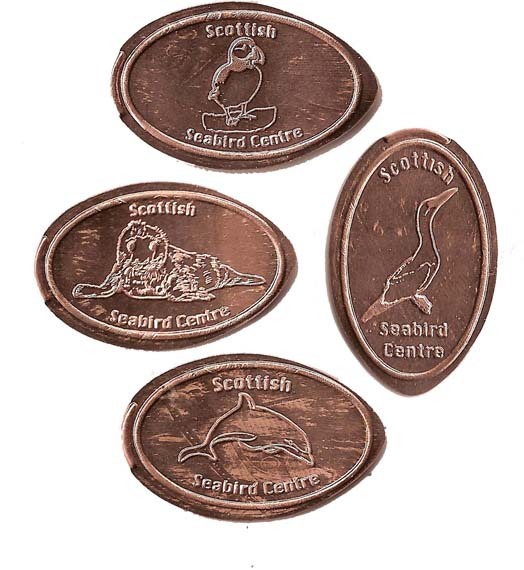 The Scottish Seabird Centre is a popular award-winning visitor attraction in North Berwick, East Lothian, Scotland. Opened by HRH The Prince of Wales in 2000 and funded by the Millennium Commission, the showpiece of the centre is the network of cameras which beam back live pictures from the bird colonies on islands such as the Bass Rock and Fidra. The local abundance of gannets, puffins and more has been described by Sir David Attenborough as one of the "Twelve Wildlife Wonders of the World". Machine located just past the front door, at the entrance to the shop on the left. No need to buy a ticket to access the machine. £1 per coin.